A 7-part class demonstrating how it is possible to heal your body with your mind. It explains how it works, why it works, how to do it and several tips for success. This 7 part class teaches how it is possible to heal your body with your mind. It explains why it works, and how to do it, along with tips for success. 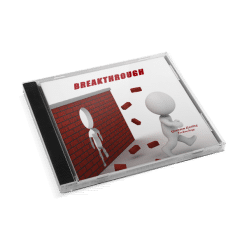 At the end several Quantum Sensory Experience CDs are explained that help heal your body by re-patterning the subconscious. This class is about learning to heal your body with your mind. 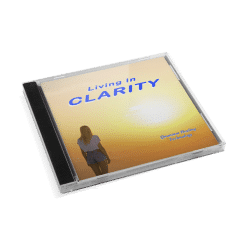 The topics in part one include how the mind works, the Divine Intelligence of the Body, the relationship between your mind and your body, enhancing natural healing, tuning into your body, thoughts, feelings, and expanding love in your body. There is a basic demonstration on states of being-ness and an exercise in sensitivity for learning to heal more effectively. Part two offers explanations about Disease and Peace of Mind. There is a demonstration and guided experience of how thought and focus effects the physical body. Other topics include how healthy and unhealthy feels to your cells, life force energy flow, how a disease can start, choosing thoughts, using water to prove how thought effects physical reality, your thoughts effecting your body, thought patterns, habits, negative thought, healing practices and peace of mind. 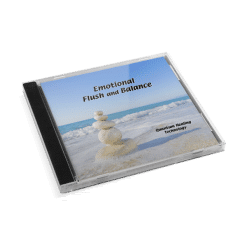 The topics in Part 3 include attention to thought, negative thinking, positive thinking, happiness, focus, feeling the vibration of happiness, raising your core vibration. how to expand happiness throughout your body, examples of how the mind and body work together, the mind’s eye, how to focus in order to heal, changing focus, how the mental and physical bodies work together, how the emotional and spiritual bodies work together, and how other people have successfully healed themselves. Part 4 offers explanations about breaking habits, ego, complaining, negative affirmations, victimhood, life force energy, energy responsibility, having a bad day, positive expression, attitude of fun, thoughts absorbed by your body, fear verses non-concern, beliefs and stress, becoming aware of yourself, feeling alive-ness, 3 states of cellular response, and an experiential demonstration on states of being-ness. In part 5 Shad talks about Alarming Thoughts and how the quality of thought energy affects individual cells in your body. Other explanations include putting life on hold, cellular deterioration, cellular response to environment, thought and emotion, enucleation, biochemistry, energy fields, scattered thought and cellular confusion. Part 6 of Healing With Your Mind offers many tips for success. Topics include free will, mind verses body, beliefs, previous thoughts, Divine Right of choice, challenging negative thought, regeneration, and healing with love. There is also an exercise for increasing sensitivity and filling your body with love. 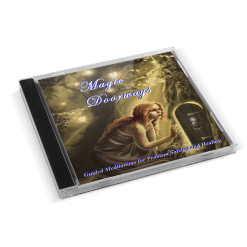 Healing With Your Mind part 7 describes the Quantum Sensory Experience healing CDs that can increase your ability to heal and a brief statement about what each one does.